McAfee internet security is the award winning security program, it helps users to protect computer and personal information from online threats. It includes some useful tools such as real-time anti-virus, anti-malware, firewall, spam filters, and parental controls and more. Normally McAfee Internet security software available in three different types of pricing options depend upon time period such as 1-year, 2-year and 3-year. Here good chance for users, for promotional offers McAfee Internet Security now available free for 6 months. 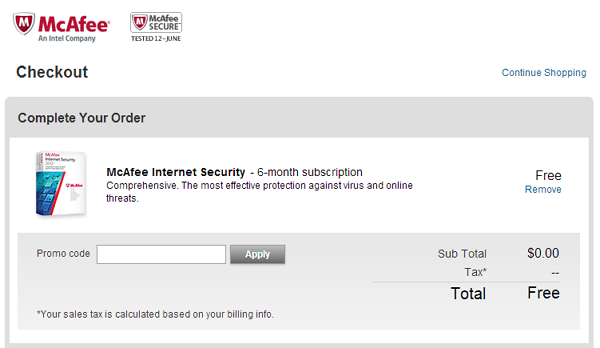 So users can protect their system with McAfee Internet Security for free of cost up to six months. 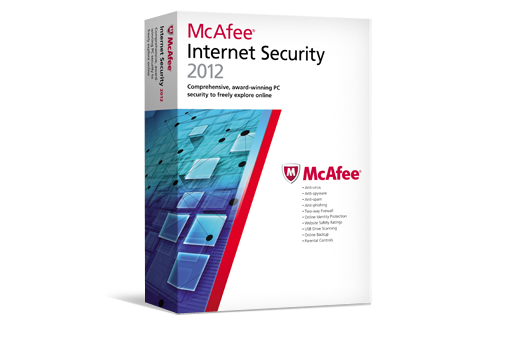 To download McAfee Internet Security 2012 for free click on this link. It requires McAfee account registration, if you haven't create new account and sign into your account and download your free copy.